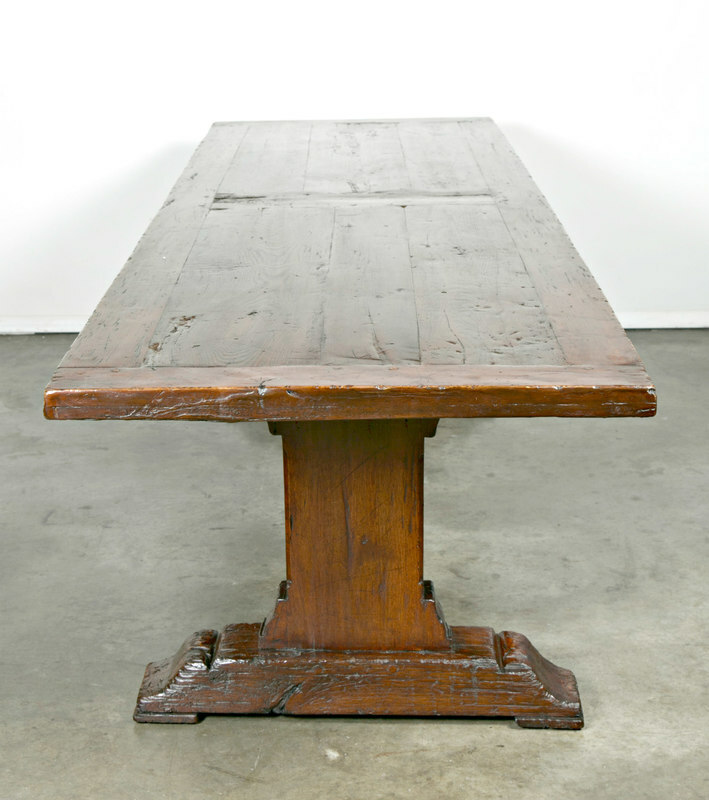 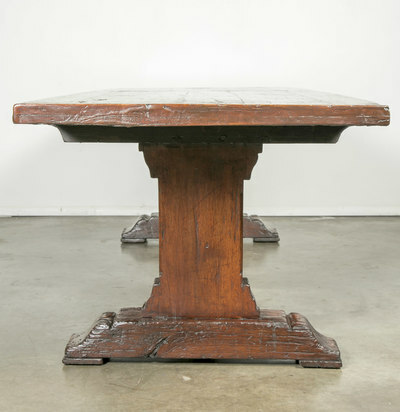 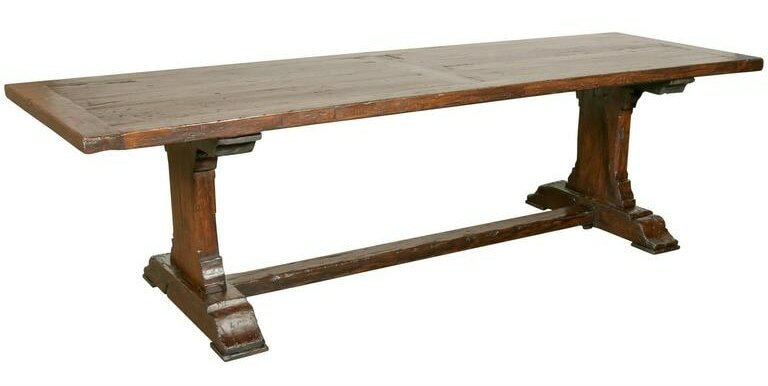 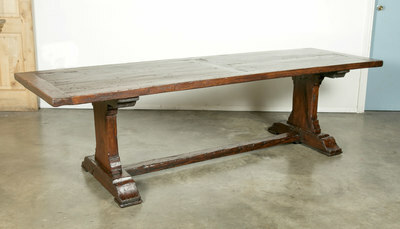 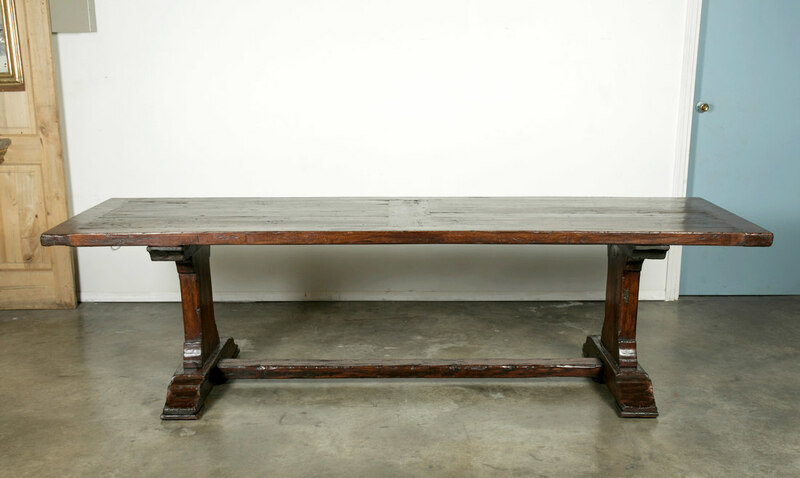 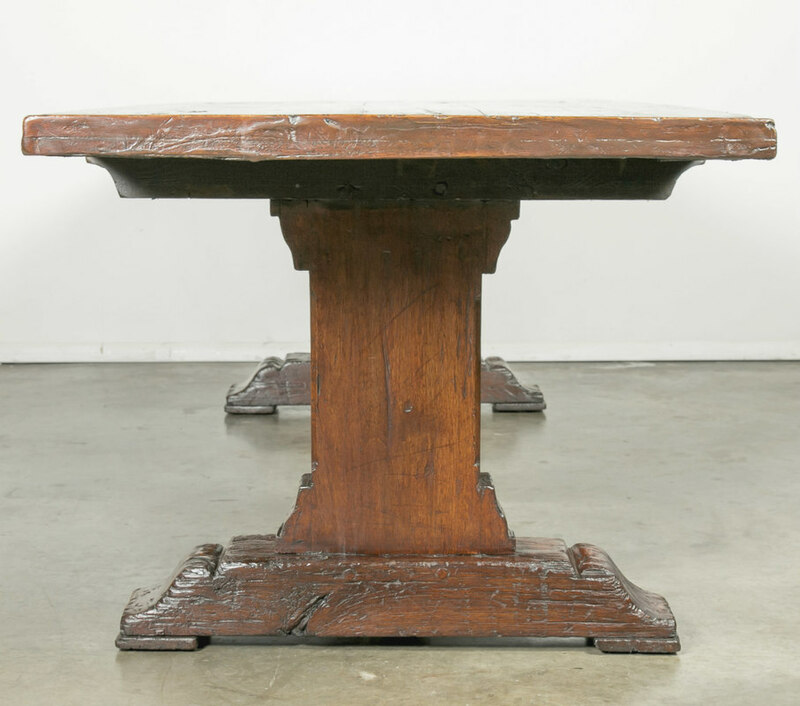 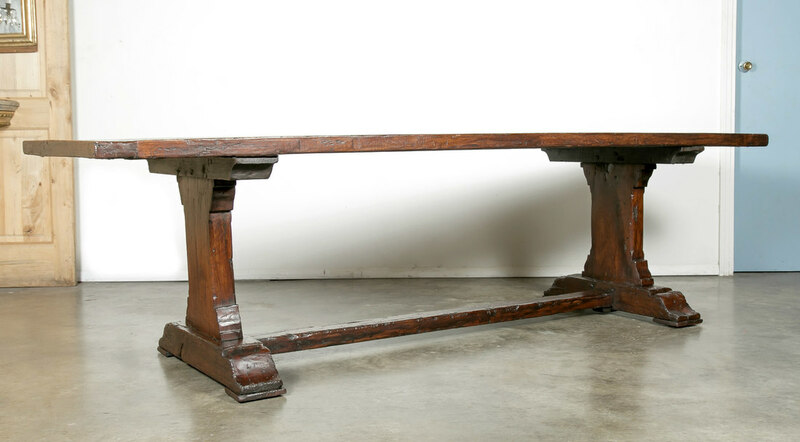 Antique trestle table handcrafted of solid walnut in the Lyon region during the 1850s, with room to seat four on each side and one on each end. 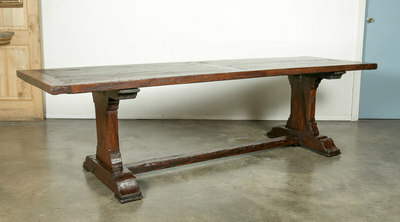 The 2.25 inch thick rectangular inset board top is framed in chestnut and rests on trestle legs connected by a horizontal stretcher. 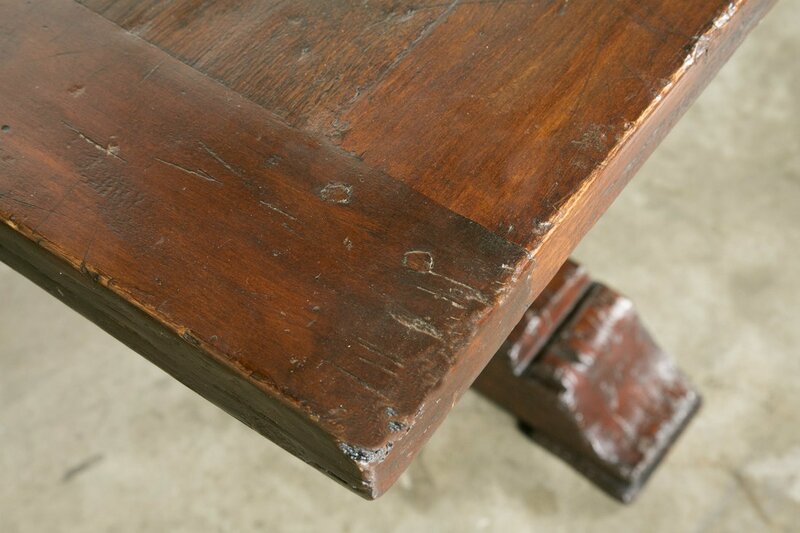 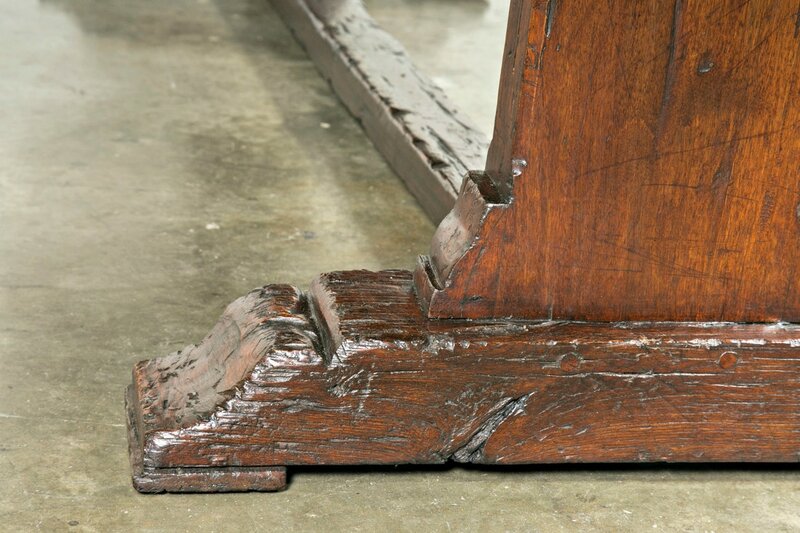 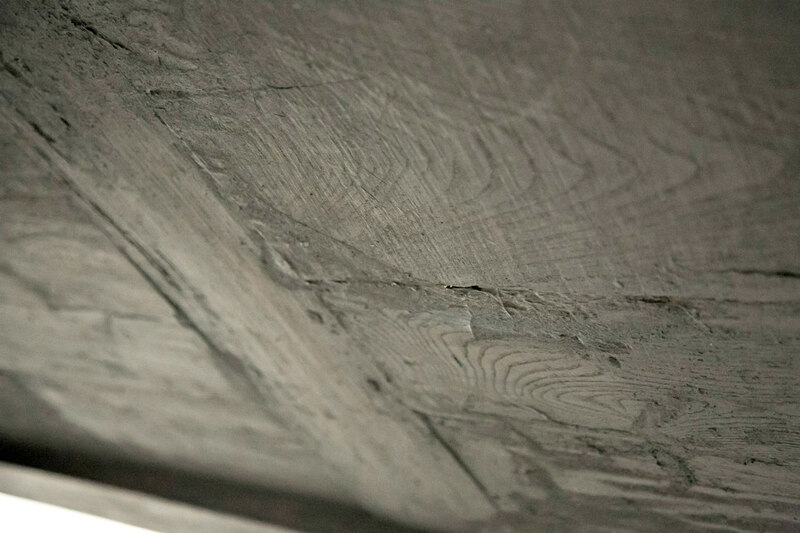 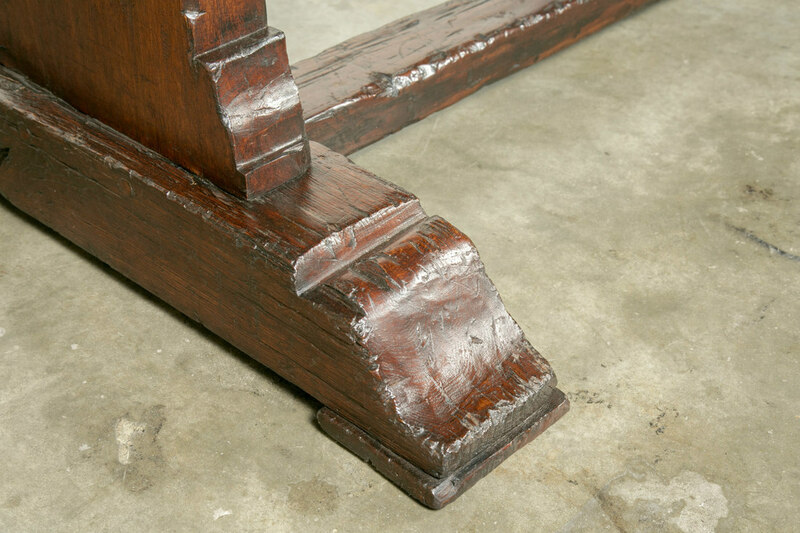 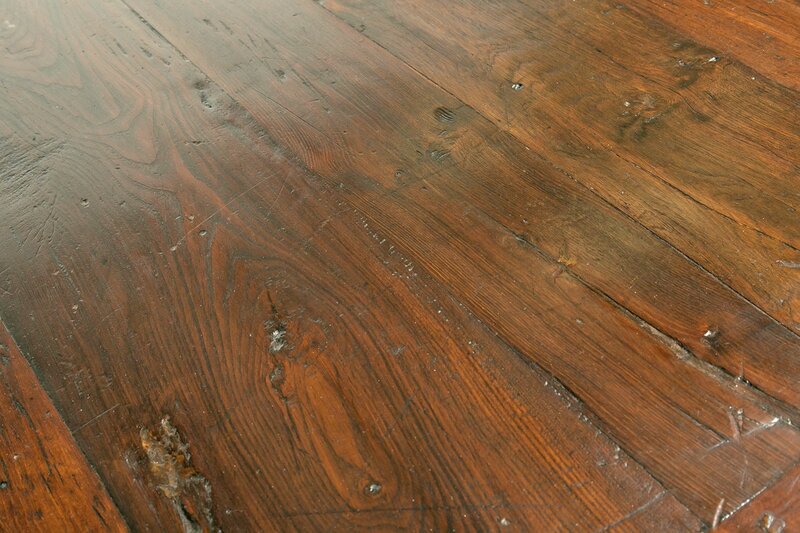 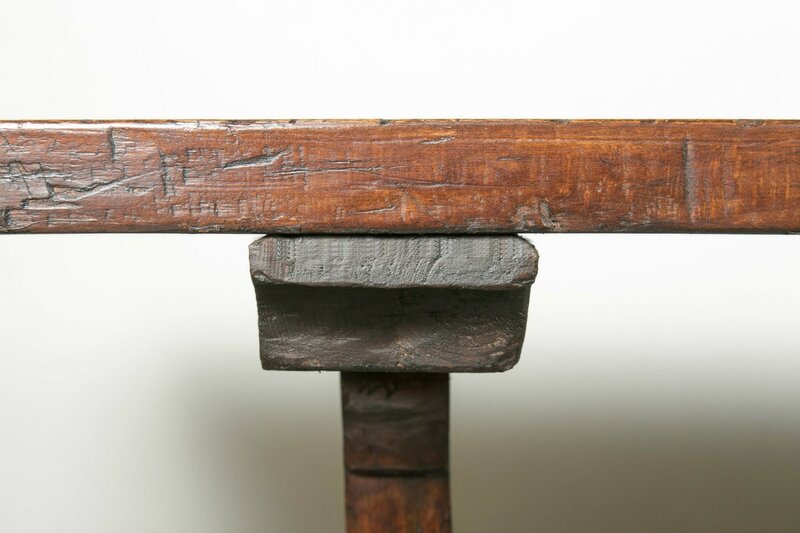 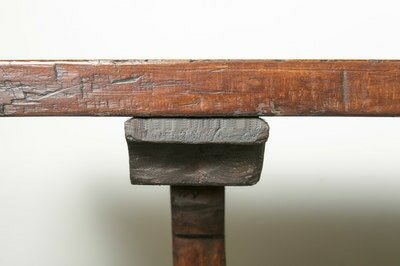 The table retains its beautiful rich, original color and patina developed over the ages in a French monastery. 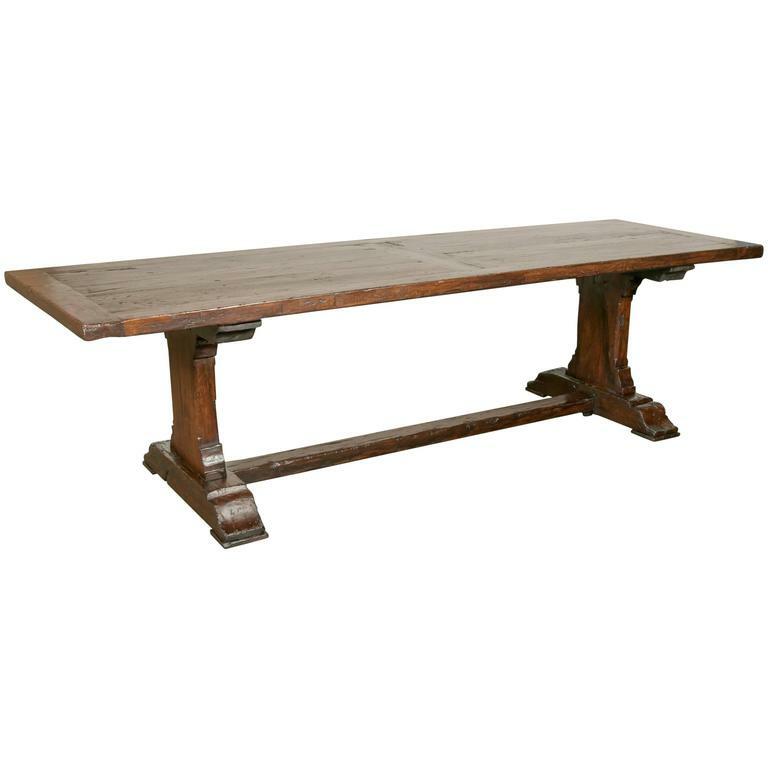 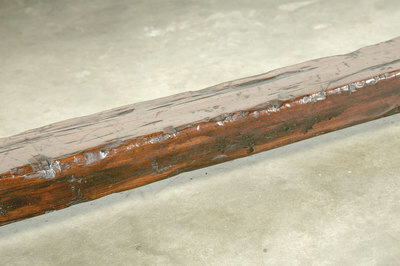 It exudes a rustic elegance, making it suitable as a dining or conference table. 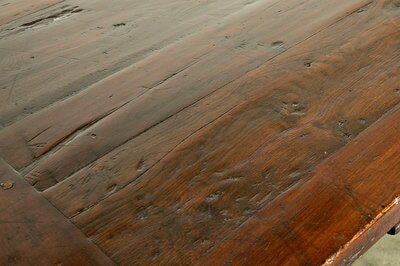 Thick and sturdy timbers able to withstand daily use by a busy family.